A small wooden chest can serve many purposes. 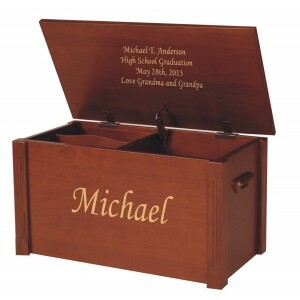 These boxes can be used as a keepsake or memento box, memorial box, or storage chest for small memorabilia. 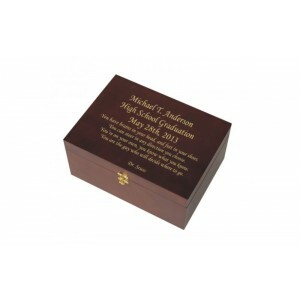 Each solid wood box measures 14L x 11W x 6.5H inches. 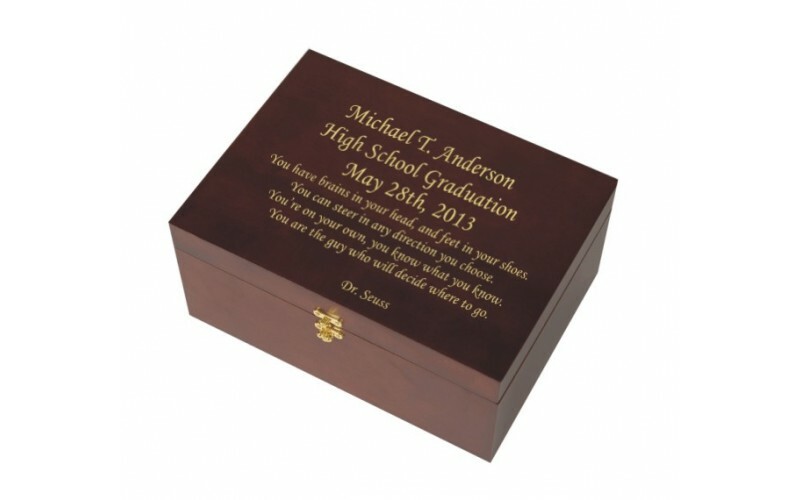 This beautiful handcrafted wooden keepsake box includes a removable tray lined in velvet. It is large enough to store full size documents (8 1/2 X 11 in.) in the bottom of the wooden chest. The small memento box also has a photo frame for three pictures inside the lid. The photo frame is removable if you prefer not to make use of this feature. 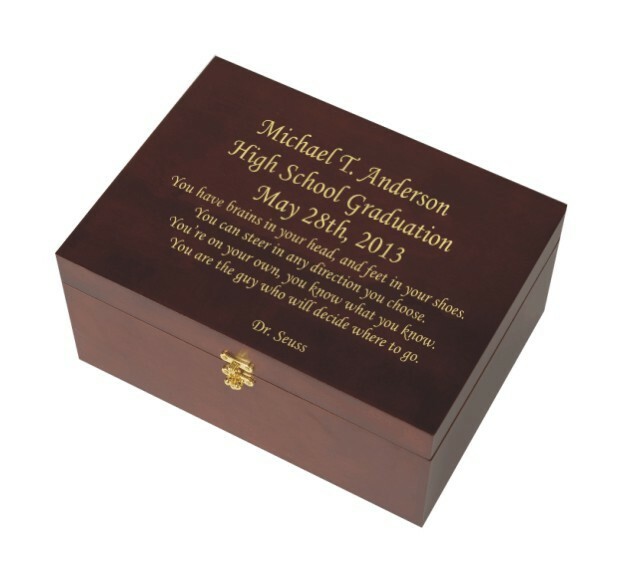 Optional laser engraving allows you to customize these little boxes with your own personal message available at no extra cost. 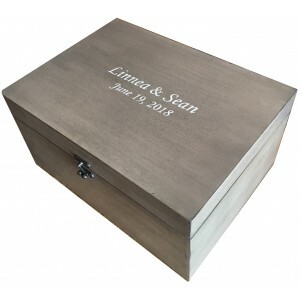 The engraving can be done on the top of the keepsake box or just below the photo cutout. 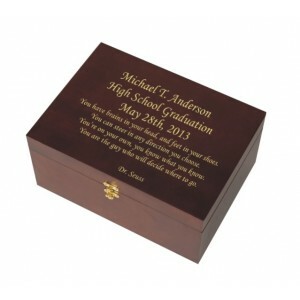 The engraving on the cherry memory box has a "gold leaf" appearance while the engraving on the oak wood has a chocolate brown color. Engraving on Inside of lid?